It is quite unique with a high mountain in the middle of the city, and it can be snow on the mountain even though there is no snow in the city centre. 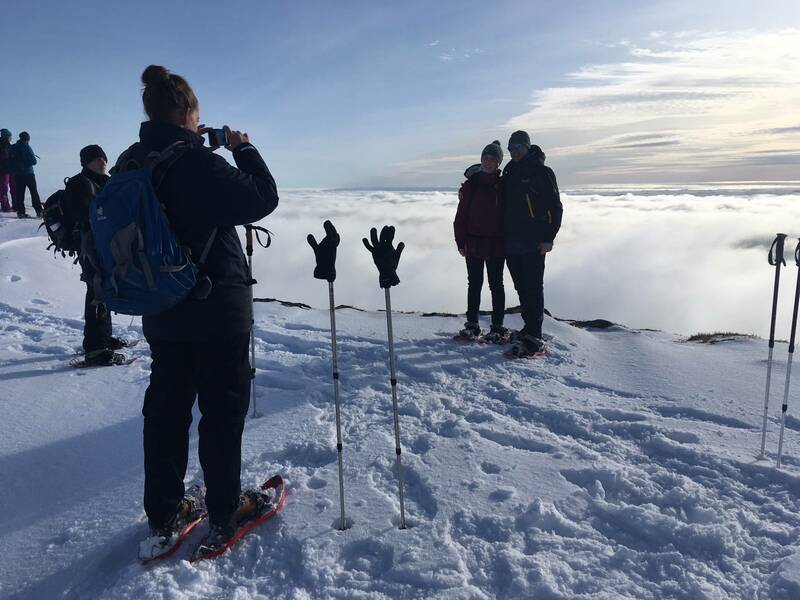 With snowshoes on our legs we enjoy the view, get an introduction to snowshoes and, not least, good stories about the mountains from the local guide. Mt. 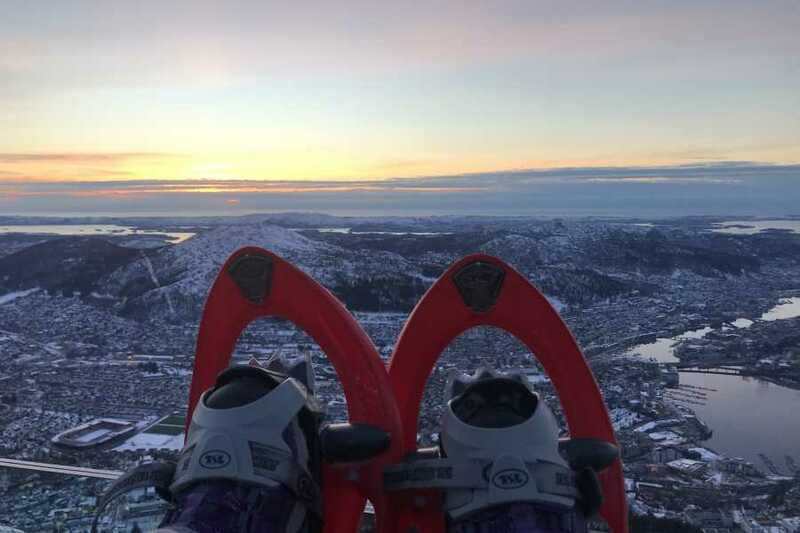 Ulriken is the highest city mountain in Bergen. 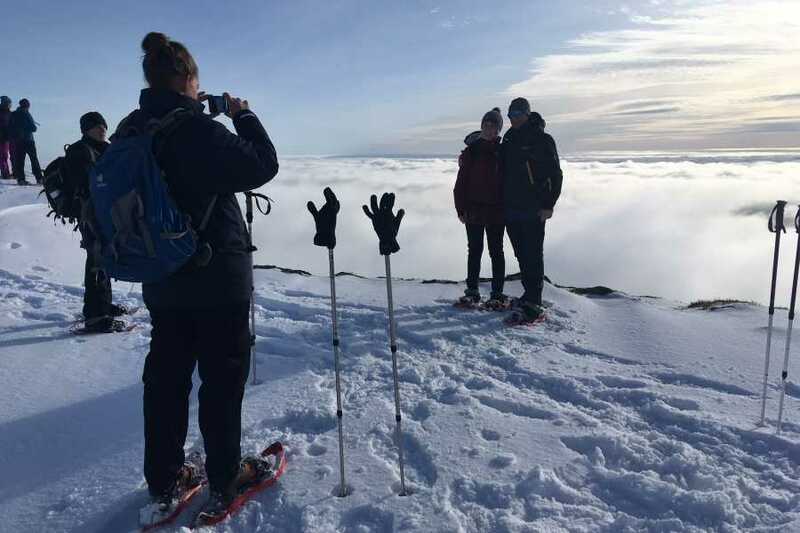 We take the Ulriksbanen to the top and put on the snowshoes. 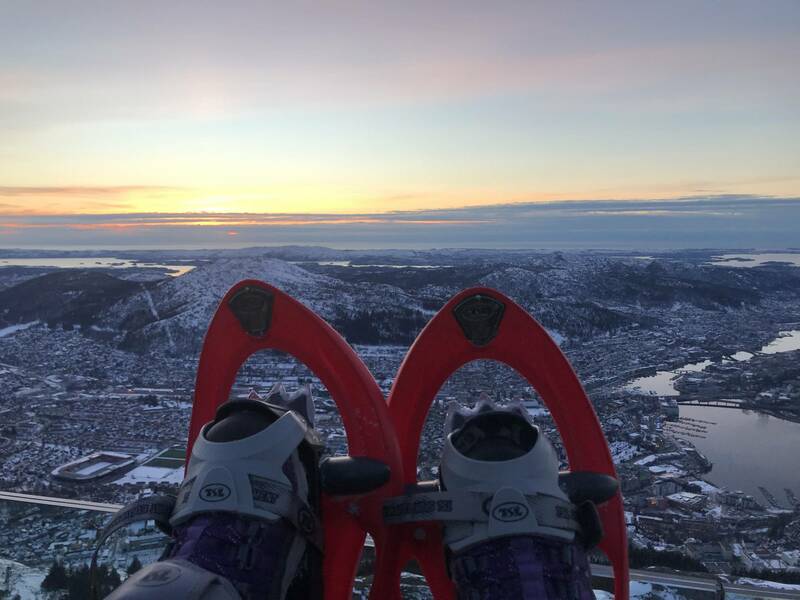 On top of Ulriken there opens up a fantastic panoramic view of the city, mountains and fjords, if the weather permits. 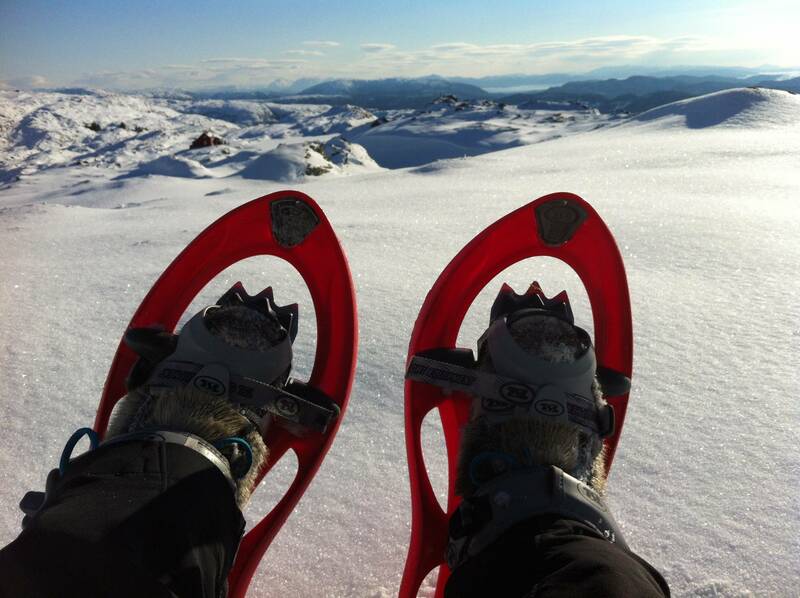 We finish the trip with hot coffee, tea or chocolate before we take the Ulriksbanen back down. 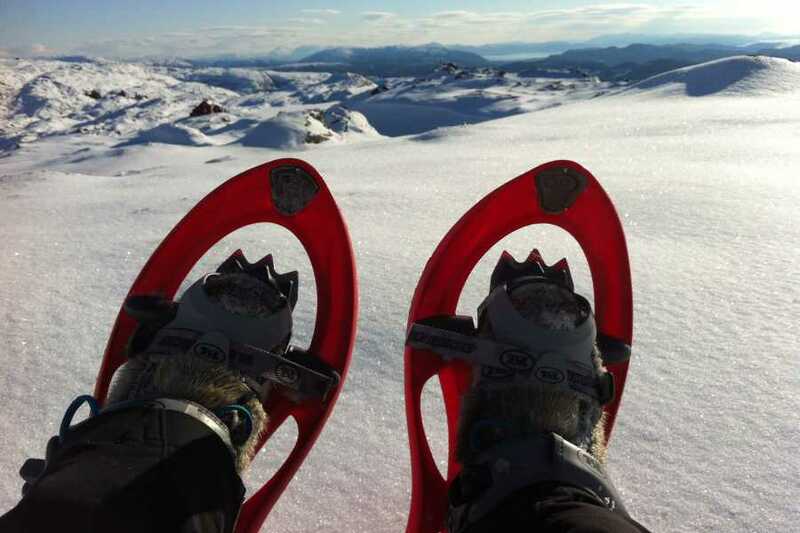 Walking on snowshoes requires no prior knowledge. It does not require more physics than what you do when you walk. Attendance is at our office at Bryggen. 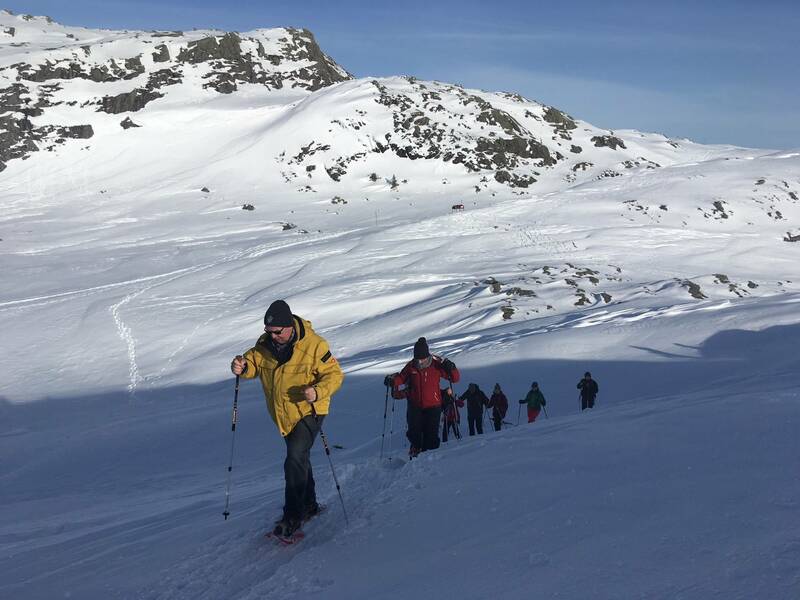 We take the bus (about 10 minutes) and go up to the Ulriksbanen, take the Ulriksbanen to the top and the same way back after finishing the snowshoe trip. 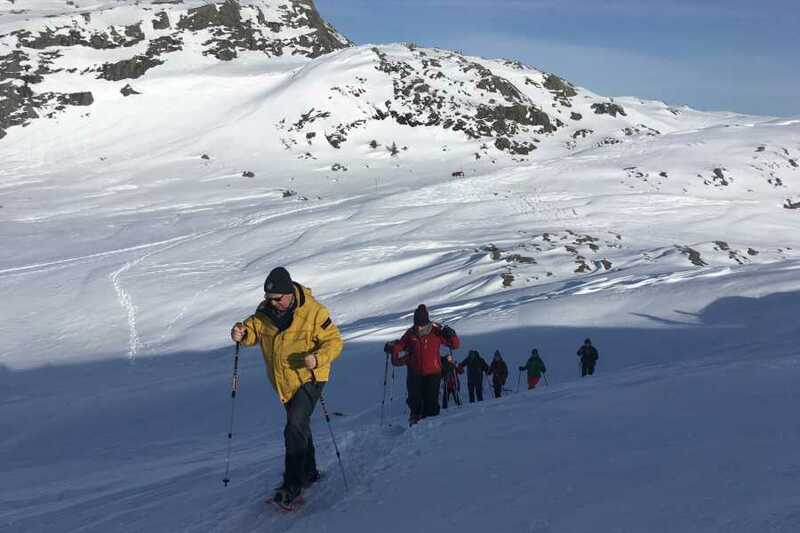 If the snow conditions allow this trip can also take place on Mt. Fløien as an alternative.